email domain. You do not have to submit the full email, but just the email domain. email domain (i.e gmail.com or hotmail.com). 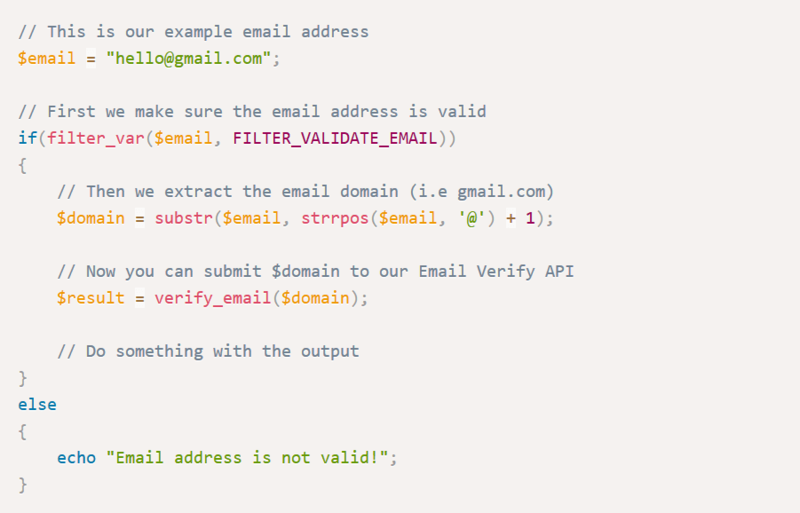 A simple API to detect disposable email addresses! With this API you can check a domain (i.e gmail.com) against a frequently updated list of disposable email domains (i.e mailinator.com). 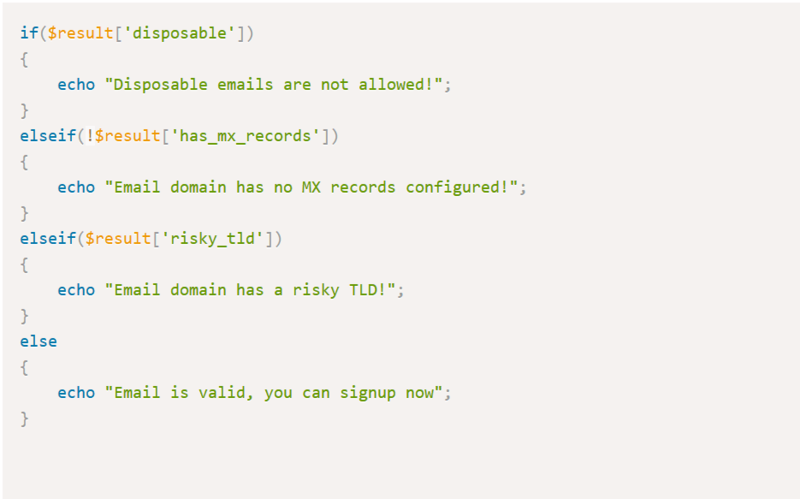 We use list-based and smart methods to detect disposable email domains. 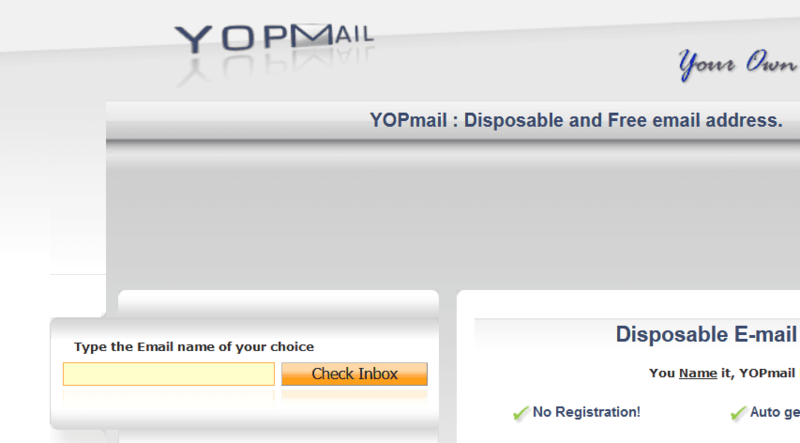 You don't have to submit the full email address like hello@domain.com but just the email domain such as "domain.com". 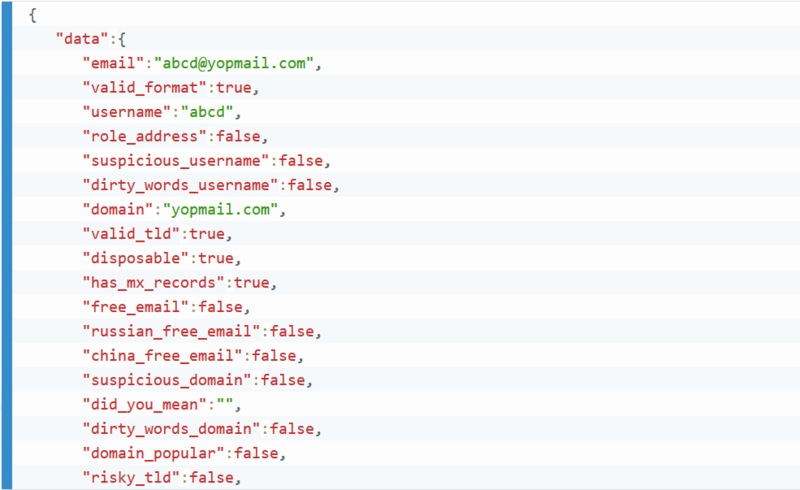 You can extract the domain (i.e gmail.com) from the full email and submit the domain to our API. With all the information we provide about the submitted email domain, you can better decide if the email should be blocked, i.e because it is detected as disposable, or because it has no MX records configured, or because it matched a list of risky TLD. 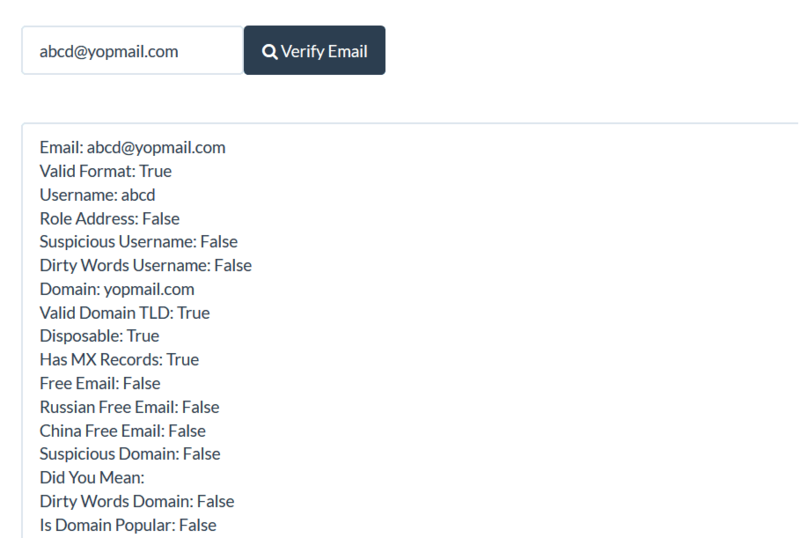 On your Dashboard we have included a simple web interface for Email Verify API that you can use to quickly verify a email domain (i.e yopmail.com) by entering the domain in a web form.